I found this leaf-like bug on a palm tree where it really didn't blend in too well. It is the Modest Katydid (Montezumina modesta). Notice the characteristic dark stripe across the eyes. The UF link provides audio files of the chirping. 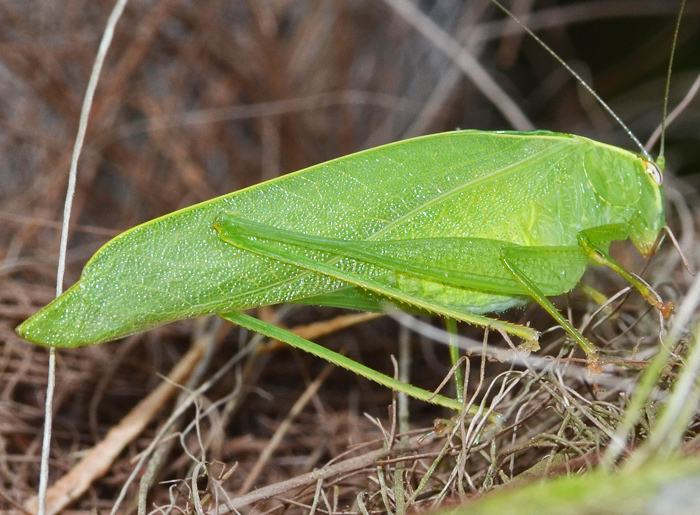 In North Florida, June is the prime month to find this katydid.